A three-year starter for the Florida Gators who played under head coaches Steve Spurrier and Ron Zook, former guard Shannon Snell has joined OGGOA as a football columnist to provide his unique perspective on the team throughout the 2012 season. 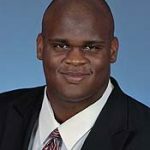 Snell, who played in 46 games over four seasons and started 36 contests, was named a First Team All-American by Sporting News in 2003 and spent two seasons in the NFL. 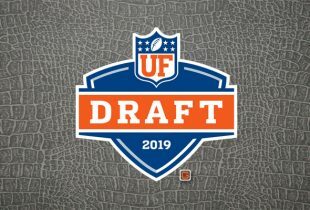 Since I never wrote a true introduction, let me say that I am very excited to give my input on the Gators each week as someone who knows the game very well after playing for so many years. While obviously, from time to time, some of you readers will not like or agree with my opinions, one thing that I know you will enjoy about me is that I’m unapologetically honest. Sugarcoating situations to make people feel better is not something I like to do; I’ve always believed in calling a ball a ball, and a strike a strike. Offensively, the Gators actually had a good day in quite a few areas. Jeff Driskel, the sophomore starting quarterback, was solid. Very solid. Though it should be pointed out that Driskel needs to realize when a play is dead and therefore when to throw the ball away. Young quarterbacks want to make a play every single time the ball is snapped. This is just unrealistic in the long run. Losing yardage and putting your team in unmanageable situations is not playing winning football. Sometimes throwing the football away is the best play that can be made in a particular situation. One thing I might do if I was offensive coordinator Brent Pease is sit Driskel down in the film room and show him clips of Peyton Manning and Tom Brady throwing the ball away, just to prove that a big play does not have to be made on every snap. What is important to note is that the positives of Driskel’s performance far outweigh the negatives. He had much better control of the offense and was very productive when he pulled the ball down and decided to run. Kudos to head coach Will Muschamp; it is clear the staff made the correct choice at quarterback. Running back Mike Gillislee still has me buying in as a true believer in his talents. With the exception of South Carolina’s Marcus Lattimore, there may be no one in the SEC who is better. His toughness cannot be questioned. And I can tell you, as someone who has pulled a groin muscle, anyone tough enough to play through that (even for just another series or two) gets a big gold star in my book. It now makes sense to me why fans have been screaming for this kid to get playing time the past three years. Hunter Joyer is a prime example of a player proving that you can be still be a star while playing fullback. Not only was he awesome on the second Gillislee touchdown run, he played with that same intensity and effort all day. Go back and take a look. He was easily the offensive player of the game in my book. Yes, he was that good. Read the rest of this edition of Snell’s Slant…after the break! The receivers as a unit performed admirably. The few times that Driskel was sacked for holding the ball too long, none of the receivers he was hoping to find were open. They have to do a better job overall. No one is winning their one-on-one matchups, which allows defenses to play man-to-man coverage and stack the line with extra defenders to stop the run. Jordan Reed at tight end was very impressive. The run after-catch down the sideline was amazing. I’d be surprised if he doesn’t see more targets against Tennessee. The play of the game, however, goes to Frankie Hammond, Jr. Damn! When he came down and crack-blocked Texas A&M linebacker Sean Porter…it was just incredible. Porter would have more than likely dropped the play in the backfield for negative yardage without Hammond’s efforts. As far as my opinion of the offensive line goes, I found myself feeling rather indifferent. It was encouraging to see them opening up holes in the running game against a stronger opponent. 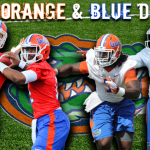 The backs seem to be legit, which should tide the offense over while Driskel is in his maturing stage. However, the offensive line was still awful in short yardage and protection, as it was in the first game of the season. Take away three sacks for Driskel holding the ball too long and there still was another four sacks that the offensive line gave up. The biggest problem with this is that all four of these sacks came from three- or four-man rushes. That is unacceptable. When there are five offensive linemen to block three or four defenders, the offensive line should win every time. Too many times it did not look like the Gators even had a line blocking. Short yardage continues to be a weakness, as Florida was stopped three different times on third down. UF won yesterday, so it was not as big of a deal as it could have been. Soon enough though, maybe against Tennessee or perhaps LSU, Florida is going to need to prove that they can convert short yardage runs. One lineman who really stood out though was left tackle Xavier Nixon. He seems to be the most consistent of all the offensive linemen in the passing and running games. From the looks of things on the first series, the energy for the Gators’ defense was a lot higher than it was at the start of the Bowling Green game. It was very evident from the opening snap when the line stuffed the first Texas A&M run. It was encouraging to see them go three-and-out to start the game (though a penalty kept that drive going, which led to a field goal). Those two personal foul penalties in the first half led to a pair of scores, which is simply unacceptable. When playing a team on the road, especially in front of a hostile crowd, you cannot give an opponent any extra hope or motivation. These calls gave the Aggies new life on two occasions. What happened to Florida’s defense in the first half was complete and utter dominance. Texas A&M did what they wanted when they wanted to do it. The Gators’ defensive line was getting crushed; the linebackers were pushed out the way and the defensive backs were getting run over. I cannot remember seeing a Florida defense get pushed around like that in a half of football. With injuries piling up all over the field, it looked like the game would be over sooner rather than later. The defensive speech that Muschamp and/or defensive coordinator Dan Quinn gave at halftime must have been a doozy. The defensive line did a complete 180 and dominated to the same degree they were being dominated in the first half. It is worth mentioning that linebacker Jon Bostic is really starting to stand out on defense. One play in particular where cornerback Marcus Roberson missed a tackle on third down, Bostic came up and almost knocked the receiver’s head off. His play is doing a lot of his talking for him. Seeing a different attitude out of the defense in the second half was reassuring, and watching Bostic lead the unit was a nice sight. That is the “pissed off” attitude that they should start every game with going forward. That second half performance by the defense was a classic case of the famous phrase “defense wins championships,” and defense most certainly won that game for Florida. Well I agree with Shannon that Driskel shows some real promise but definitely needs to know when to get rid of the ball when a play is over. I do think he missed some open receivers however (in fact being there I know he did). I also don’t think the line showed any more toughness than last week (or last year for that matter). We cannot convert on short yardage downs which is pathetic. I also noticed that we had a mash unit over on the sideline with guys coming out on nearly every play with cramps while A&M players did not….conditioning Jeff. And we did not force a 3 and out on the opening possession of the game, they got a field goal. We will have to continue to get better in order to compete in the SEC. With that said we are 2-0 with a real good shot at being 4-0 heading into the LSU game. He’s saying they would have been three-and-out if not for the personal foul penalty. Manziel fell a yard short. I loved the way the Gators played in the second half. Jeff Driskel had a lot to do with the win and a lot to do with why the game was so close (as did the defense). Jeff ended several drives with bad decisions. This, however, is okay as it is nothing more than growing pains. His bright future is evident. I think the team showed grit. The offense is a work in progress and the Defense continues to impress with ability to keep getting after the opposing offense and make adjustments. Not always pretty looking but gator fans have been spoiled with the past styles of offense we have run. Well said Shannon. I was wondering why we can’t make the necessary defensive adjustments before the half. It was pretty obvious after A&M’s first couple offensive series that our scheme wasn’t working. Playing good defense (or offense for that matter) for 30 minutes is not going to win us many games down the road. I think once the offense is completely in place it will score a bunch of points. People, remember this is a new OC and a new starting QB and RB. Boise State’s offense scores a lot of points, so I think we will score a bunch of points again. Plus, Boise State’s offense seems more flexible than some of our past offenses. The problem with Meyer’s spread was there was no plan B. If it didn’t work we were in trouble (I direct you to the 2009 SEC championship as exhibit A). I was impressed with Driskel, the Hammond drop would have been a TD. A shame about not throwing the ball away, especially when he just ran it out, but very correctable. The O-line needs to improve, it would have helped some to have more variety in the snap count. I wonder if we cut down on that to reduce false starts. A couple hard counts in short yardage might have kept it more fair. Overall though I’m thrilled with the win. Guys getting “hurt” is one sure way to slow down a no huddle, up tempo offense. Gotcha. Yes the penalty there changed the temp of the entire first half in my opinion. Go away, troll. You obviously didn’t read the injury report after the game. That comment was meant to be directed towards “Joe”. Loved the column by Snell, though. Keep ’em coming! Lets face it, we have a different style of offense theses days. Grind it out and shorten the game with ball control. Not sure that is the best way to go, kind of like the hurry up stuff. Our D better be stout as we will score fewer points….just win baby! Well, TAM would know. I lost track of the number of times they were accused of doing just that last year. And I don’t know why specific replies are borked but I was replying to Joe. I believe I have fixed this issue. Please try it out in a new post. Exactly. It was a 3 and out before the penalty.